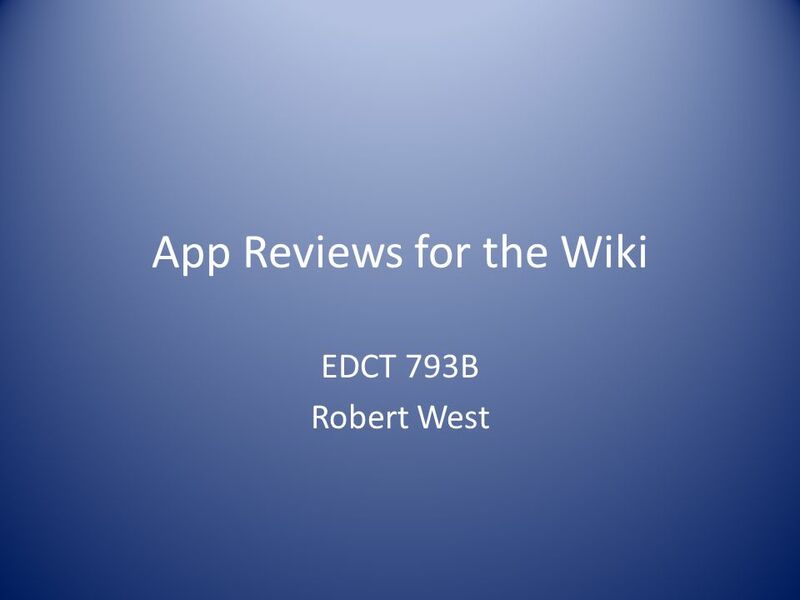 App Reviews for the Wiki EDCT 793B Robert West. QR Code Reader This was my. 2 QR Code Reader http://itunes.apple.com/us/app/qr-code-reader-and-scanner/id388175979?mt=8 This was my first experience downloading an app. I downloaded it to the iPod Touch. 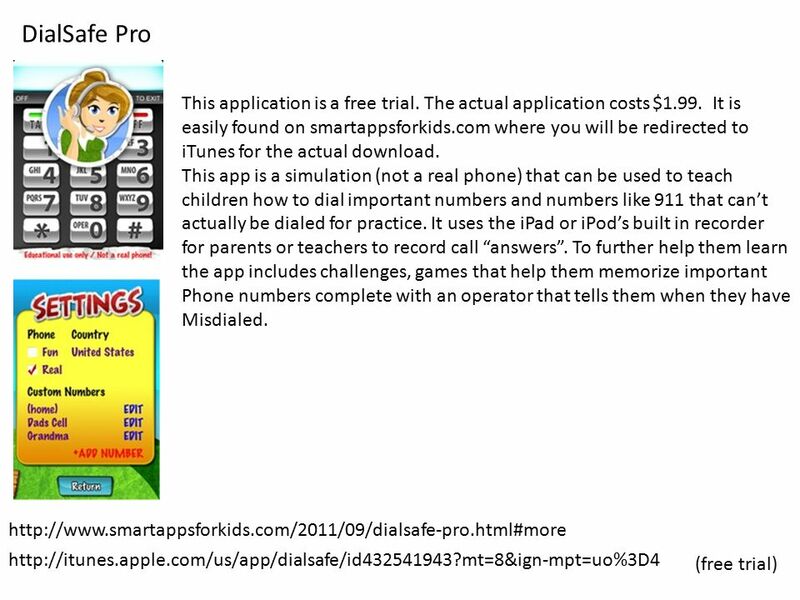 This app was free and can be obtained at the iTunes Store at the web address below. It was also my first experience with iTunes. I was surprised at how much information they require before this “free” app could be downloaded. In our society personal infor- mation has value therefore no app is really free after you sign up and give you r credit card information to iTunes. The app downloads and works just fine on the iPod touch. It is one of the apps that gives new function ability to this device. Once load you can use you iPod camera to read QR codes a two dimensional matrix codes that include information in pictures, URL (to websites) text or other data. 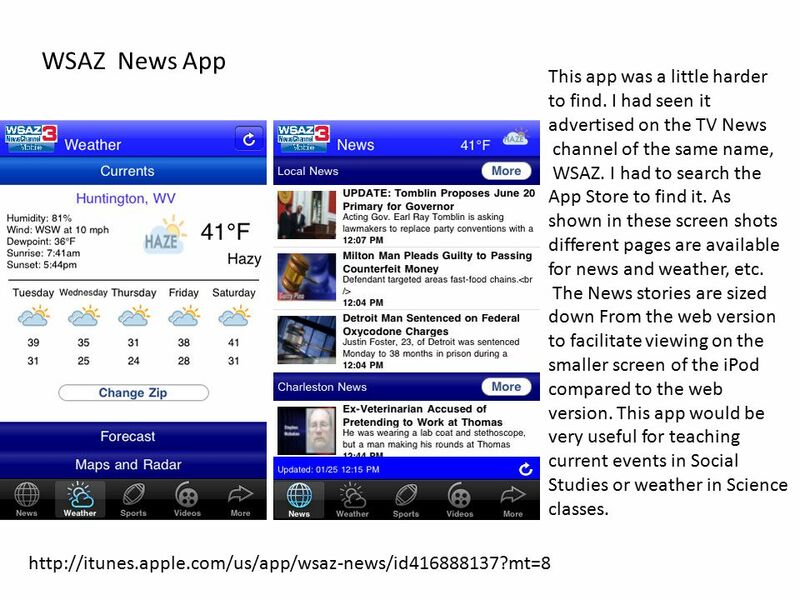 This app could be very useful in a school scavenger hunt or any other discovery type lesson. 5 http://www.dropbox.com/ Dropbox This free app is available from the App Store but it is far easier to install directly from dropbox.com as you do not have to register and enter credit card information. Dropbox will run on all of your devices both mobile and desktop and actually should to reach full potential. 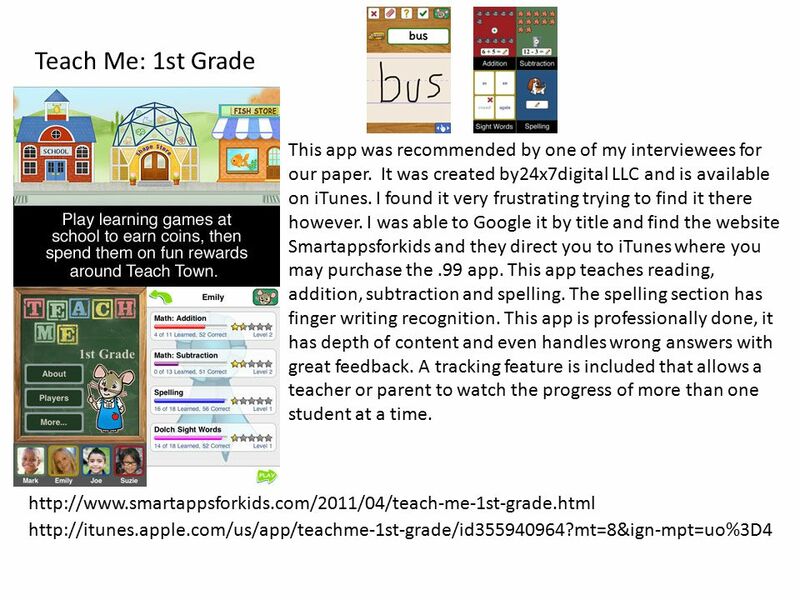 While more of an application software than an educational software this app certainly has educational value. All students should be taught to back up their work to another source and Dropbox fits that need. Schools are often short on technology funding and are hesitant to provide and maintain server space for student work. One school that I worked for actually routinely deleted all student work over the summer. 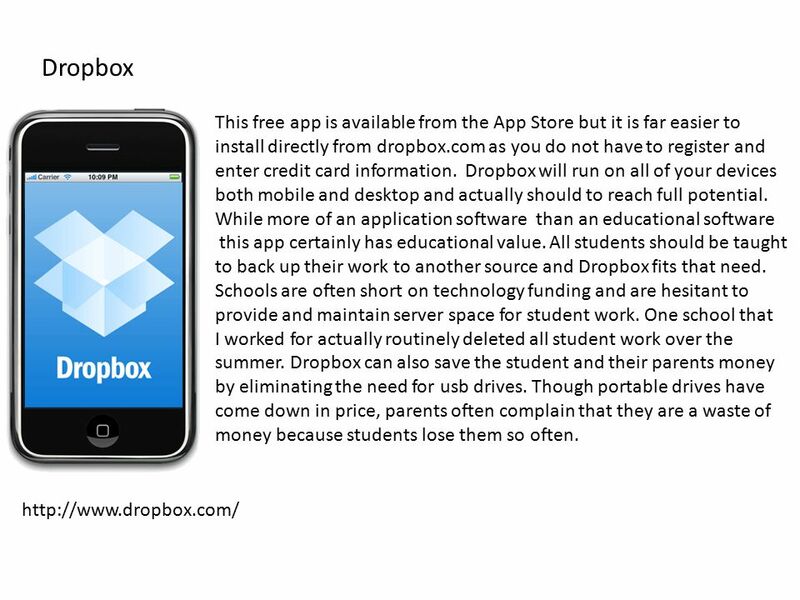 Dropbox can also save the student and their parents money by eliminating the need for usb drives. Though portable drives have come down in price, parents often complain that they are a waste of money because students lose them so often. 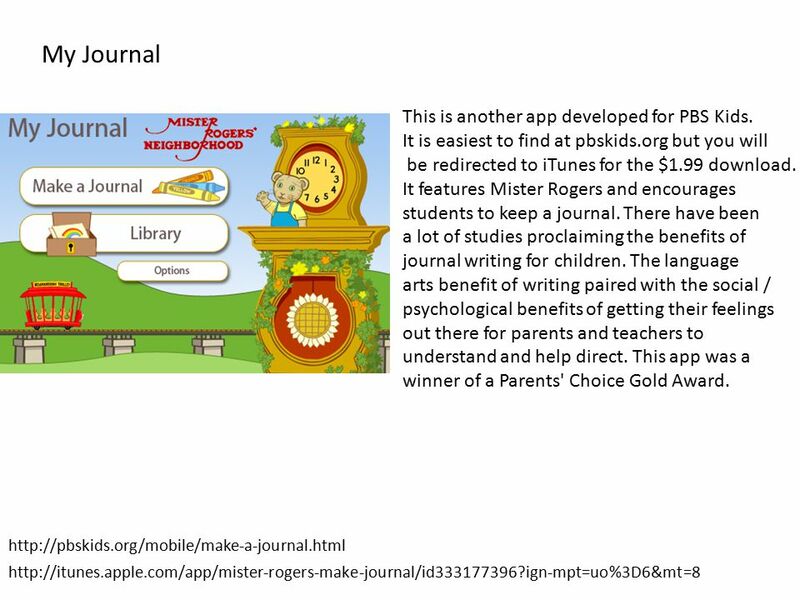 Download ppt "App Reviews for the Wiki EDCT 793B Robert West. QR Code Reader This was my." LVISD: iPads for Administrators. Welcome and Introduction Each participant has received a 32GB wifi and 3g enabled iPad. This session will introduce you. IPad Basic Training Everything you wanted to know but were afraid to ask a 2-year-old. 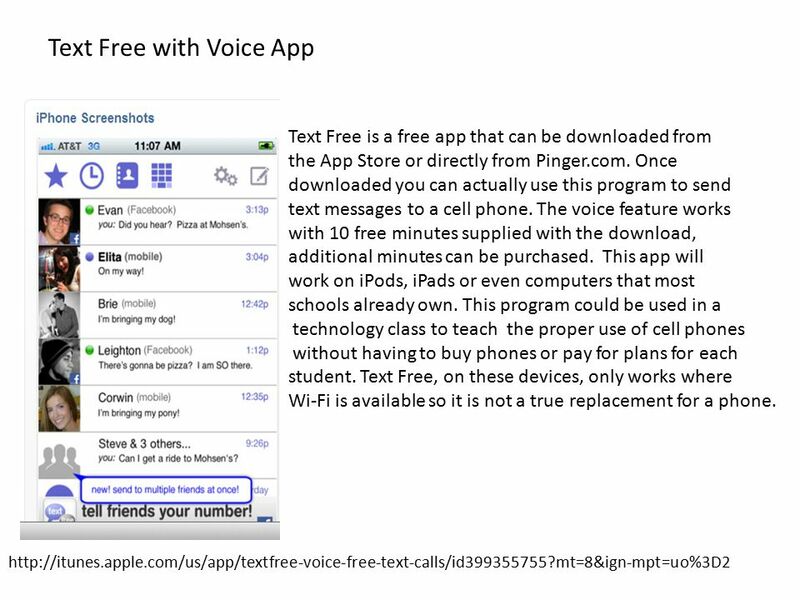 To Make the Teachers Life Easier Gail Lanham Melanie Roberts KYSTE Conference 2013 FREE APPS & WEBSITES. Examples of Apps in Higher Ed Ohio State Universitys mobile app allows students to view their course grades and schedules in real-time Princeton Universitys. Getting to Know Your iPad. Overview Tip: the back camera is the best! GLHS Tech Training Fall 2012 iPad Apps &. Surprise!! Quartermaine. DENapalooza Atlanta 2013 Presenters: Tracy Carpenter and A Guide to Getting Started Today's Group Code: cxfbiv (complete. 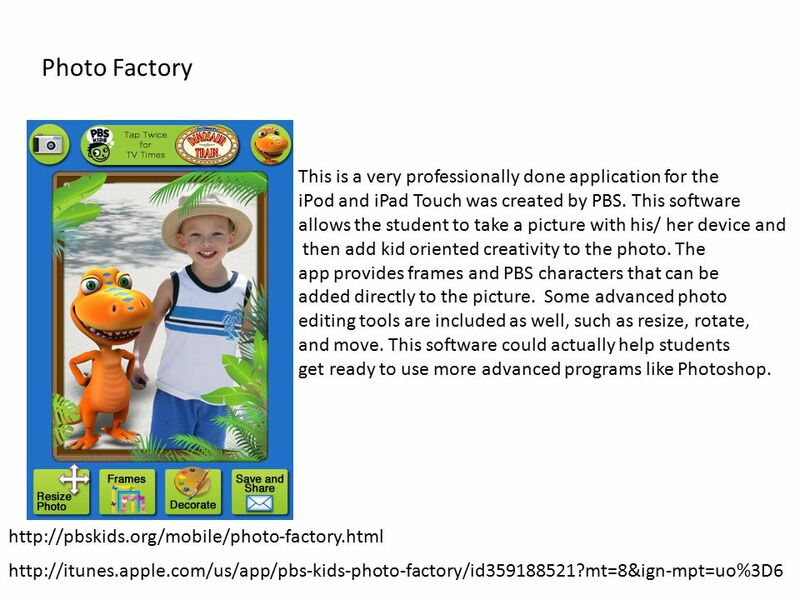 Innovation Adoption iPad By: Lou Ann Morris. Need Student’s need a notebook, this is the notebook of the future. E-books at the student’s finger tips. 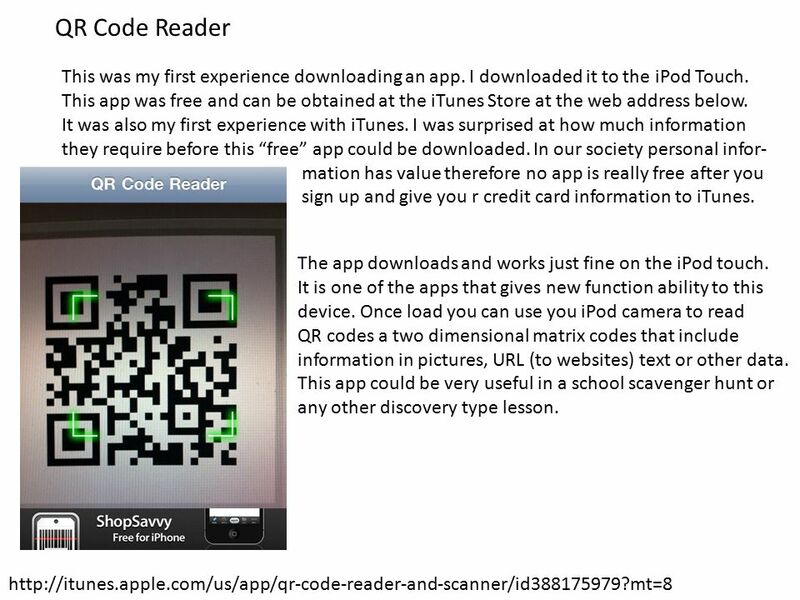 Literacy Apps Using iPads in the classroom to support and promote literacy (Use the URL or QR code provided to access the presentation on my website under. IPads in Education Part 2: Apps for Teachers Dr. Gita Phelps Information Systems & Computer Science GCSU. Teaching School Wide Positive Behavior Expectations Using QR Codes Name: Barbara Grace Age of Students: Content Area of Teaching Lesson: Behavior. Quick Response or QR CODES. QR Codes What are QR Codes? How are QR Codes read? How are QR Codes created? How can we use QR codes in EH?